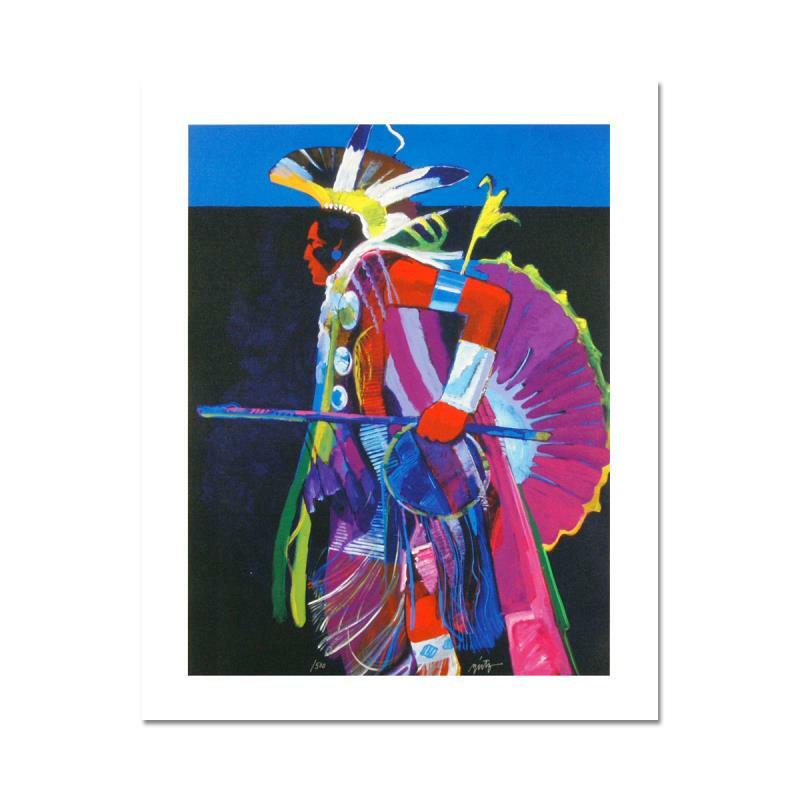 "Traditional Dancer I" is a LIMITED EDITION Giclee on Canvas by John Nieto, Numbered 1/500 and Hand Signed with Certificate of Authenticity. 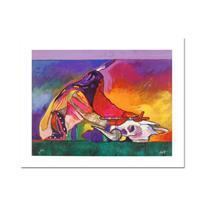 Brighten your home or office with the vivid work of John Nieto! 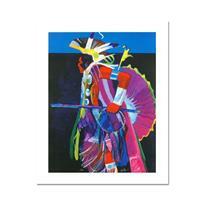 "Traditional Dancer I" is a limited edition giclee on canvas that is numbered 1/500. It is hand signed by Nieto and come with a Certificate of Authenticity. 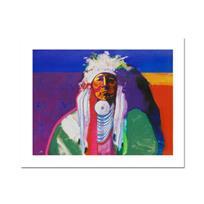 Measures Approx: 18"x 24" (image). John Nieto is one of America’s most dynamic contemporary artists, concentrating on themes that transcend mere representation. He utilizes intense primary colors, applied in bold strokes to give dimension and character to the canvas. In his etchings and drawings, Nieto employs classic linear techniques to create images of great detail and depth. His art is a synthesis of his philosophy and his technical versatility, a powerful expression of pride and vitality. Nieto is unique among contemporary American artists. His personal philosophies are a vital element of his consummate style. Nieto states, “I employ a subject matter that is familiar and express it the way I see it”. Nieto’s distinctive style, combination of subject matter, bold comparisons and searing color, is instantly recognizable and collectors throughout the United States and abroad prize his work. His passionate creations have graced the walls of the White House, and are proudly showcased in museums, corporate and private collections around the world. "Fancy Dancer I" is a Limited Edition Giclee on Canvas by John Nieto, Numbered 1/500 and Hand Signed with Certificate of Authenticity. 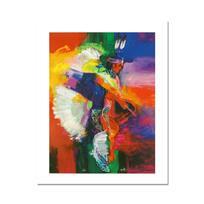 "Traditional Dancer II" is a Limited Edition Giclee on Canvas by John Nieto, Numbered 1/500 and Hand Signed with Certificate of Authenticity. 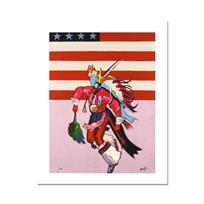 "Fancy Dancer with Flag" is a Limited Edition Giclee on Canvas by John Nieto, Numbered 1/500 and Hand Signed with Certificate of Authenticity. "Calling on the Power of the Buffalo" is a Limited Edition Giclee on Canvas by John Nieto, Numbered 1/500 and Hand Signed with Certificate of Authenticity. "Re-Living Past Glories" is a Limited Edition Giclee on Canvas by John Nieto, Numbered 1/500 and Hand Signed with Certificate of Authenticity.